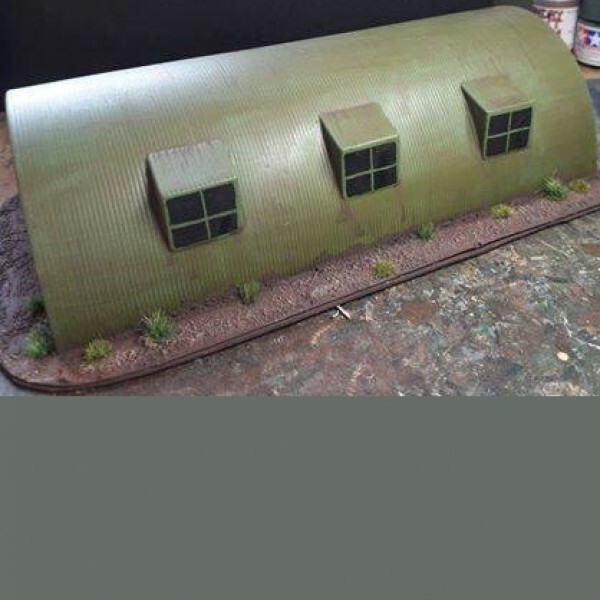 Ideal for airfields, camps, dioramas and wargaming. 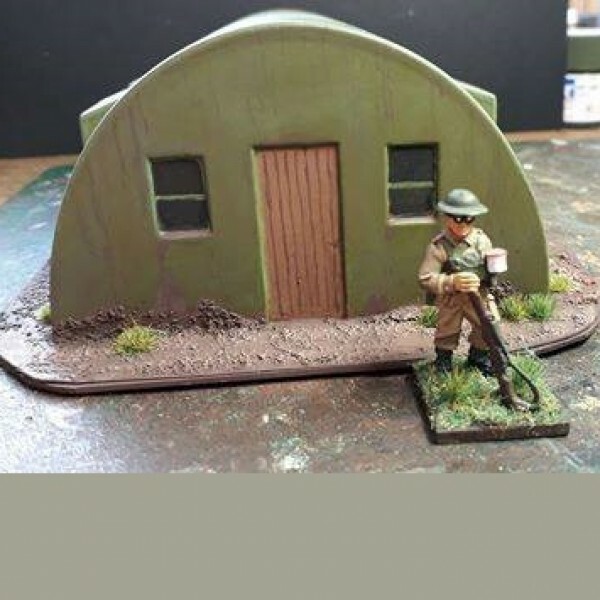 28mm figure to show scale-not included. 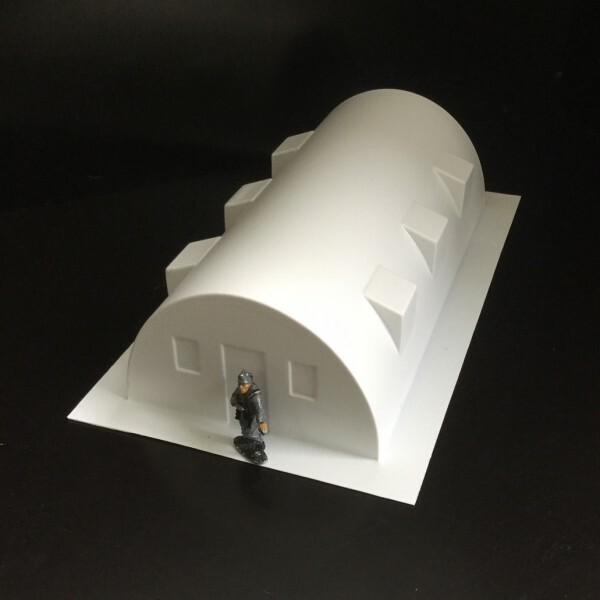 Complements items in other ranges and adds a 28 mm scale option to our other Nissen Huts. 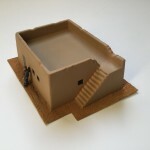 A sturdy well detailed model, supplied unpainted in white polystyrene. 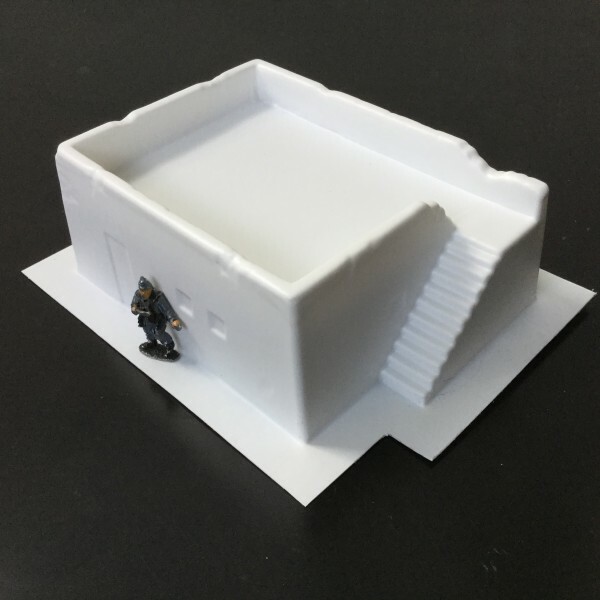 The 28mm figure is for illustrative purposes only and is not included.